Many of us know that using your hand-held device while driving is illegal. However, there are many unanswered questions like; can I take a sip of my coffee while driving? Or can I change the radio station? Here are some things you need to know about the new Distracted Driving Laws to ensure we keep our roads safe. Talking, texting, switching playlists, checking maps, reading books or documents, or simply holding onto a hand-held device is considered illegal. Touching, holding or manipulating any device while driving or stopped at a stop light is considered distracted driving and you can be fined. The driver must be pulled off the road and not impeding traffic, or legally parked to use their hand-held device. If you have a cell phone with an earpiece, headset or Bluetooth using voice-activated dialing, you can use it only to activate or deactivate “hands-free” functions provided that the device is mounted or secured. The same goes with a GPS. You cannot scroll through your contacts, dial from your phone or input a destination– this is considered illegal. Cancellation of your license and removal from the Graduated Licensing System (GLS) for a third distracted driving conviction. Are there any exceptions to Ontario’s Distracted Driving law? If I have been convicted of Distracted Driving, what does that mean for my insurance? Many Insurance companies are now starting to look at distracted driving charges as a major conviction. This can dramatically increase your insurance rates and affect your qualification with certain insurance companies. Insurance Companies are even taking into consideration those who received a distracted driving conviction prior to January 1, 2019 and will be rating their insurance policies according to the new rules. 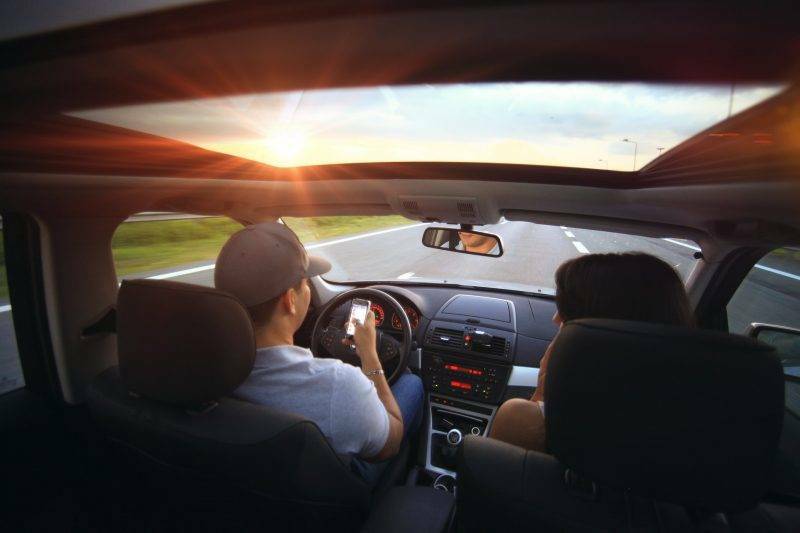 If you currently have a distracted driving conviction on your record you may still be affected by the new rules when your policy comes up for renewal.